Imogen's Typewriter. 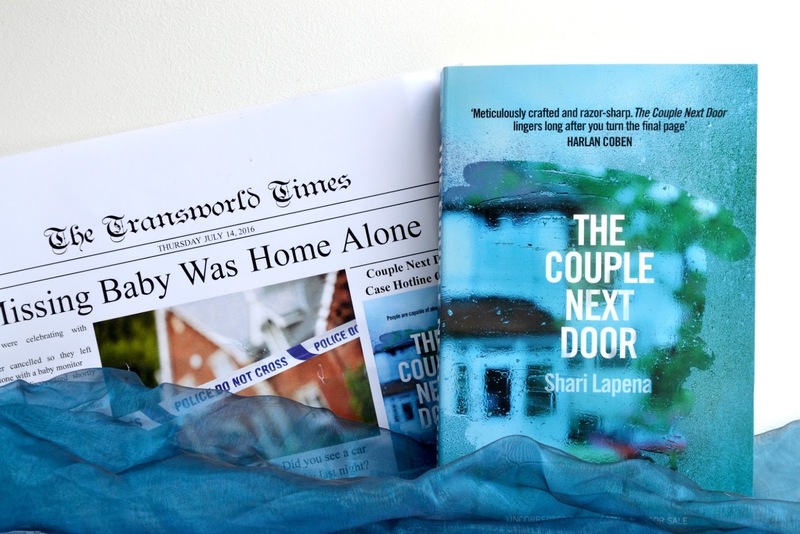 : Book Review: The Couple Next Door by Shari Lapena! Book Review: The Couple Next Door by Shari Lapena! It's a story we've all seen in the news, and at times the plot definitely felt a little too close to a certain missing little girl, but The Couple Next Door took me on a rollercoaster that I didn't stumble off until the back cover. The truth was concealed under layers and layers of manipulation and confusion, that peeling back that last page felt ever so slightly anti-climactic. You never know what's happening on the other side of the wall. Your neighbour told you that she didn't want your six-month-old daughter at the dinner party. Nothing personal, she just couldn't stand her crying. Your husband said it would be fine. After all, you only live next door. You'll have the baby monitor and you'll take it in turns to go back every half hour. Your daughter was sleeping when you checked on her last. But now, as you race up the stairs in your deathly quiet house, your worst fears are realized. She's gone. You've never had to call the police before. But now they're in your home, and who knows what they'll find there. The characters fell flat for me. I just didn't believe some of the things that were happening because, although I know that people do bad and stupid things all the time, they normally have better reasoning then those in this book had. If this was a movie, it would be badly acted because you wouldn't believe the actors knew why they were doing what they were doing. The writing was easy enough. There was nothing extraordinary and only two sentences that I sticky-noted because I liked the way they read more than average. But that's just what the majority of this book was- average, which isn't bad for a debut! It was fast, and readable, which is what you're looking for in a thriller. In the end, it has been a couple months since I read The Couple Next Door and it's a good thing I left myself notes because this was not a story that has stayed with me. If you're looking for a beach read then look no further, but this is very much a three star book for me, I liked it while reading but I wouldn't pick it up again. Want to nab a copy? You can pre-order it here for its Thursday release! Book Review: The Unseeing by Anna Mazzola! My 6 Reading Goals for 2016: 6 Months to Go! 5 Things to Watch on Amazon Instant Video! Books I Read in June!